The best way to optimize your Facebook marketing for SEO. In fact, Facebook is the most comfortable social media to realize your marketing strategy. This social media has the biggest audience above all social platforms, so it`s much easier to get customers. You can use keyword function to simplify people`s searching process. 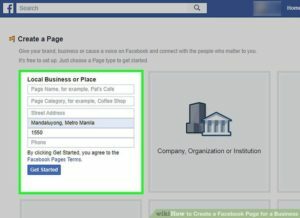 In this article we will tell you how to optimize your business Facebook page. Our steps will be simple and workable, so you will see the result just after performing them. This is a very important part in our optimization process, because Facebook`s algorithm is based on keywords searching process. And it`s not only about business. A bigger part of content in this social media contains at least one keyword. However, how can we use keywords in our specific situation. As we told earlier, everything that people search for on Facebook is based on it. Nevertheless, to get a perfect result we must adapt our keywords to our content on Facebook. For example, if our business is based on food delivery, we must use this strong phrase “food delivery”. Everywhere in our articles, advertisements and descriptions. When user start searching, the first thing that he types is this phrase. We`ve already optimized our content with these keywords, so he could find us. Why? Because we are on the top of the list in search. This is also important because when you have more keywords there is a high possibility that your page will be found more often. Returning to our example, you can try something like “delivery of food” or “quick food delivery” or “tasty food delivery”. Well, you`ll understand what to do. Our mission is to create visibility using keywords in our content. This is a very important detail in optimizing Facebook page. If you`ll use your keywords once or twice in description and “About” section, it won`t give you needed result. There should be at least 7 repetitive phrases and words in the account description. Remember that our main target is to get more users who will visit out page, open our links, read your texts and then use our services or buy goods. Also, don`t forget about potential followers. They could possibly come every day, and keywords are also working here. Why not? People could make searches not only through Facebook, but through the search system too. When you`ll optimize your URL, you will have more chances that someone will remember your page and tell his/her friends about it. 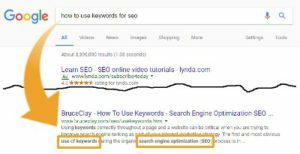 When someone starts to enter keywords, they will see your URL on the first position and, as a result, visit it. Putting keywords into a URL will help users to remember your page. They will notice that you have two or three keywords there and enter them into a search bar. If we are talking about social media marketing, we must mention this point. Any person that visits your site can pay attention to this section, so you must be ready for it. Write some words about your company (when it was found and what are its main targets) that will let customers and potential partners understand in who are you and in which sphere you are working. If you think that your page is fully optimized for work, you should start working on your content. The main thing is the same – use keywords to create visibility for people. When they will search something in Facebook, they could find your texts because of these keywords. Admit that you should be still focused on the main topic of your page. Keywords are just to show people that you have exactly what they are looking for. Try to use two or three keywords is one paragraph and don`t use one interpretation. We`ve already mentioned this point, but you shouldn`t forget about it. Use call-to-action in your posts. Galvanize people to action. Writing good posts isn`t enough to get a result. You need activity on your page, so you should make people do something. For example, if you put a link under your text, you can add a phrase like “click HERE to read more”. You show people that there is some extra information that they could know and all they need to do is to click on the link. Also, don`t forget to put phrases like “share this post with your friends to help our blog”. If your subscribers are really interested in your topic, they will do it. As you see, SEO and Facebook could be mixed very easy. All you need to do is to know the basic principles that we showed in this article.